Gladys V. Stultz, age 95, of Hoover Road, Schellsburg died at 7:14PM Thursday, August 16th, 2018 at her home. 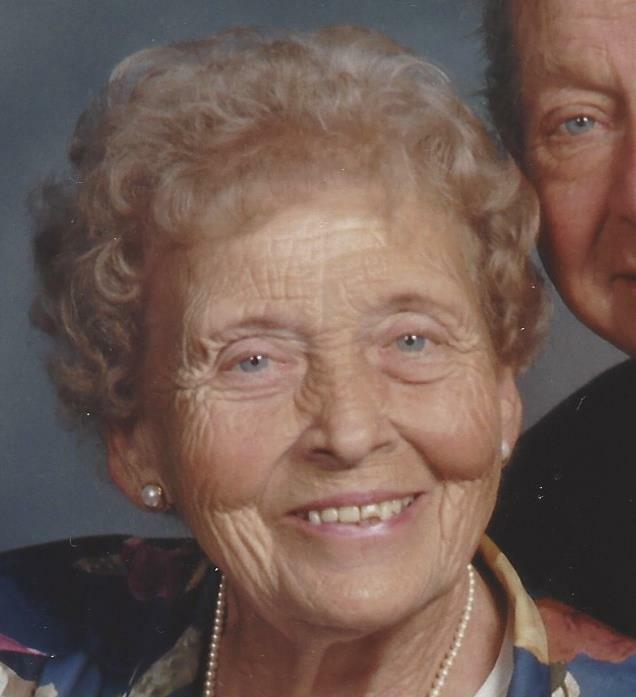 Born on May 26,1923 in Altoona, Gladys was the daughter of the late Rayford and Margaret (Reisling) Bowser. A member of Spring Meadow Family Worship Center in New Paris, she worked as a van driver for 30 years at MHMR. The widow of Robert B. Stultz, whom she was happily married to from April 15, 1939 until his death on October 22, 2003. She is survived by Son- Robert B. husband of Patricia (Oravec) Stultz, Fishertown; Daughter- Bonnie L. Claycomb, Osterburg; Son- Daniel A. husband of Pearlyn (Tan) Stultz, Bedford; Daughter- Joanne wife of Thomas Felix, New Paris. She is also survived by 17 grandchildren, 46 great grandchildren, 11 great great grandchildren. Preceded in death by her great grandsons-Shawn and Joshua, grandchildren-Kevin and Heather and brother-Glenn Bowser. Gladys was a wonderful mother, grandmother and great grandmother who loved her family and will be greatly missed by all who knew her. A Funeral Service will be held at Mickle-Geisel Funeral Home, Schellsburg, PA. at 11:00AM on Monday, August 20th, with Pastor Randy Brant officiating. Interment at Bedford County Memorial Park, Bedford. Friends will be received Sunday 5-9PM at Mickle-Geisel Funeral Home.